Yesterday I talked about all the planting I’ve been doing lately. 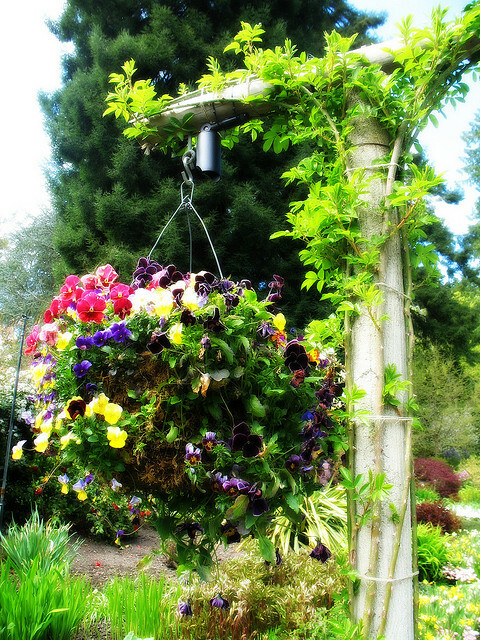 I wanted to share these tips on how to create a big full hanging basket like this one that I’ve been coveting for a long time now. Seriously, this is the basket of my dreams. I love that there are plants growing out in every direction. 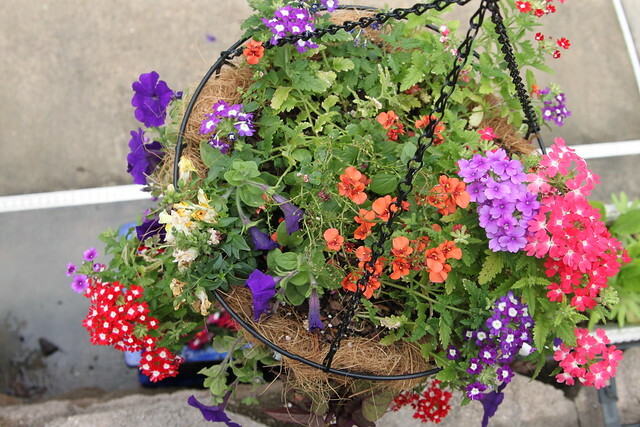 There is nothing more beautiful than a big hanging basket just dripping blooms. I like them even better when there is an assortment of different kinds of plants so you get all sort of textures and colors. 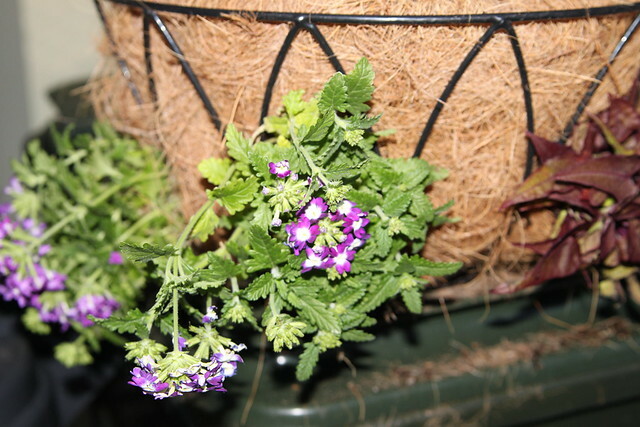 I’ve bought more than my fair share of standard issue hanging baskets from the garden centers over the years. None of them looked anything like that one above though! 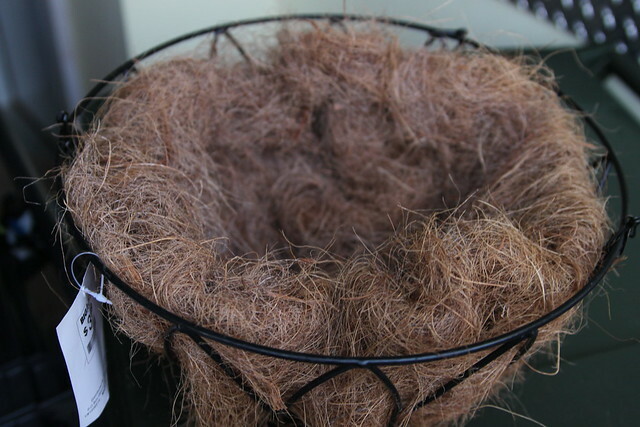 So this year I decided to try to DIY a hanging basket that will be absolutely covered up in blooms and foliage by mid-summer. 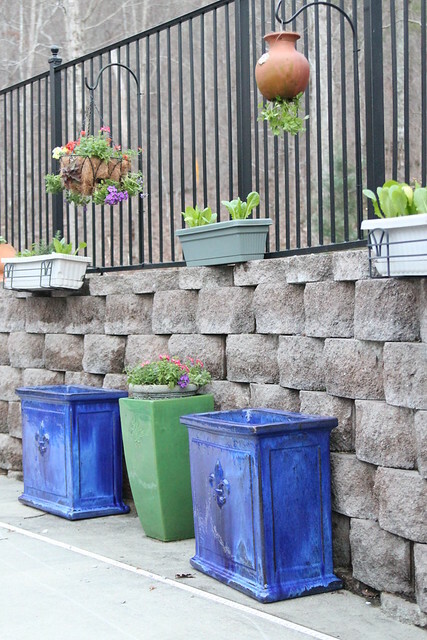 There is an awesome Weekend Gardener article in the latest edition of BHG’s Deck, Patio and Pool magazine about planting a window box garden. The windowboxes he creates are just incredible. One big issue I have with hanging plants is keeping them watered in the summer. 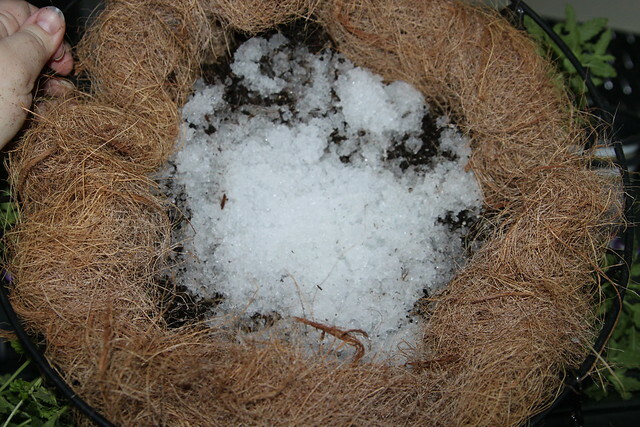 The article said to add water absorbent crystals to your potting soil to prevent the containers from drying out. 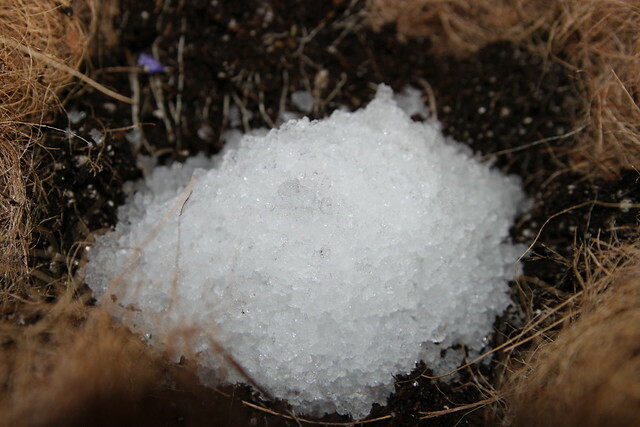 I realized those water absorbing crystals looked exactly like the stuff that explodes from inside a diaper when it gets too wet. Of course I googled it and read a few articles to see if it’s the same stuff. From all indications it is really similar, so I decided to add some diaper goop to my pots before I went out and bought an expensive jug of potting gels. Step one of this process is to thoroughly soak a diaper or two. I put the diapers inside a trash bag and covered them with water. Then kept refilling until they couldn’t hold anymore. You’ll be amazed at just how much they can hold! 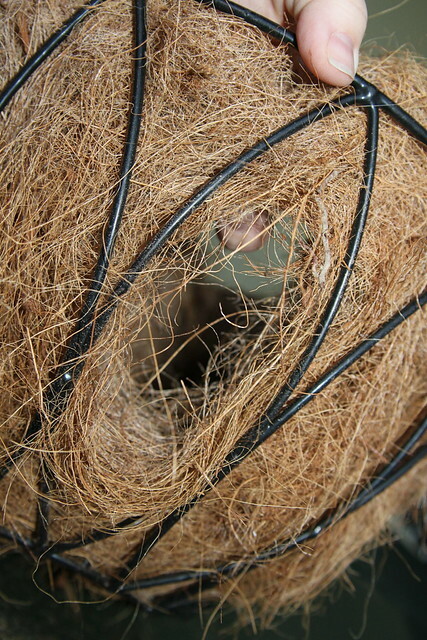 I started out with a cheapo hanging basket with a coconut husk type liner from Big Lots. 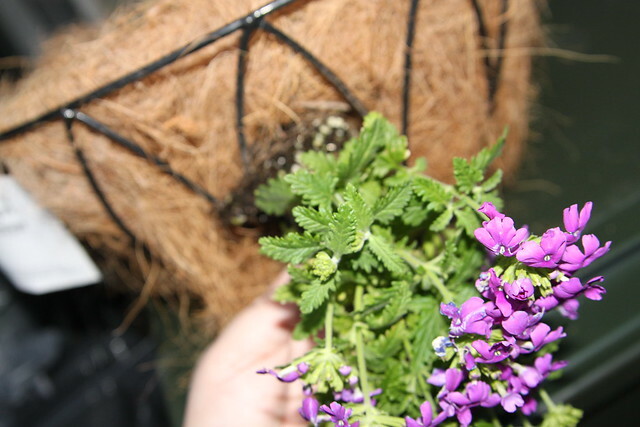 …then I carefully inserted a flower (root end first) into each hole. After that it was time for the diaper innards. Or “diaper ice” as Garrett called it. The end result was leggier and sparser than I’d hoped, but I think once the flowers start growing it will help. I also think I need to get in there and add another flat of flowers of a different variety. I think he needs some purple supertunias added for extra showiness. Still waiting on them to arrive at my garden center, though. I’ll keep you updated on his progress! It’s pretty elementary at this point, but everyone has to start somewhere, right? It was a much (MUCH!!) 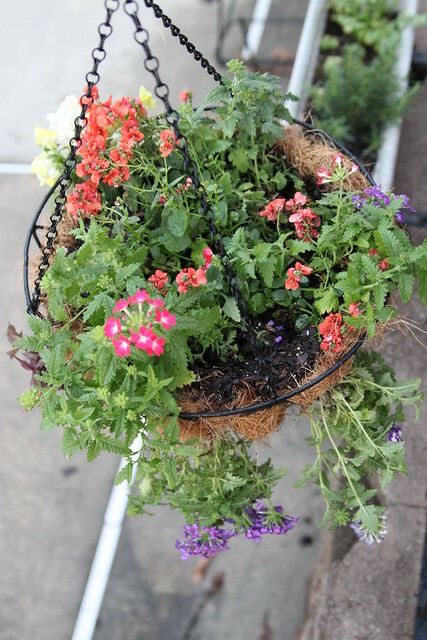 cheaper alternative to buying a premade pot at the garden center once blooming season hits full swing. Hope you Southerners are enjoying this Springy weather as much as I am! Purple petunias added to help fill in the bald spots! Other plants are growing nicely! 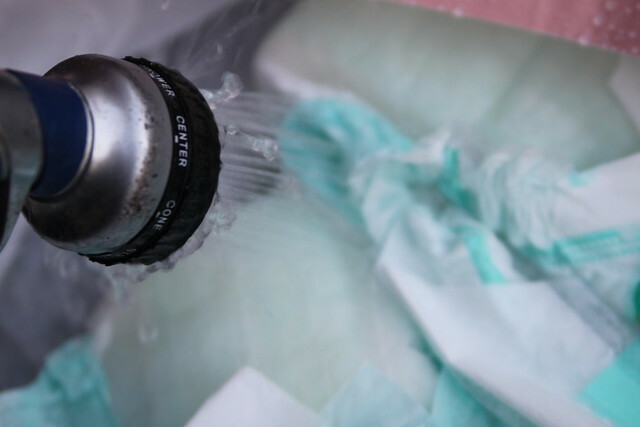 What a fab idea with the diaper filling! 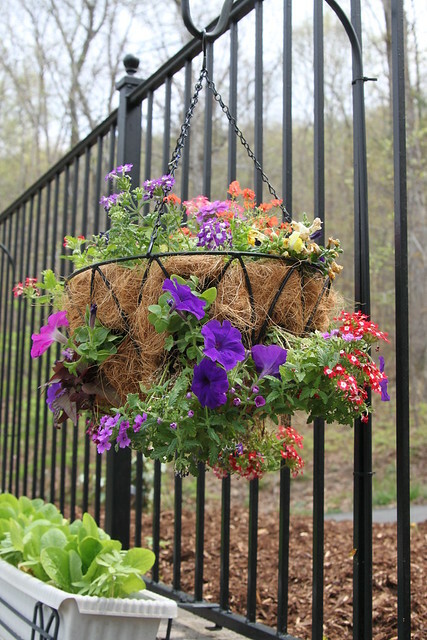 🙂 I adore hanging baskets, and your tutorial was great! 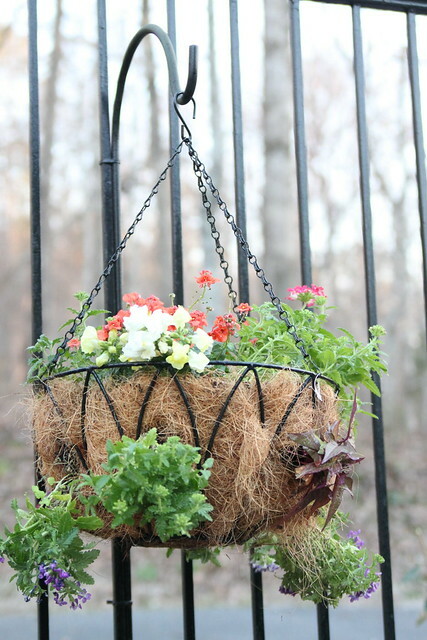 Thanks for sharing your tutorial for the hanging basket. I will be putting one together this summer. I am just plain dumbfounded. Do you realize that you’ve discovered gold in them there diapers? Really; I love those crystals, but they are so expensive, and I have to take a deep breath when I purchase even a small container during planting time. Yay, Jude! So glad to help you out with that idea! Hi, first time here. I can’t wait to make these. I have such a brown thumb. 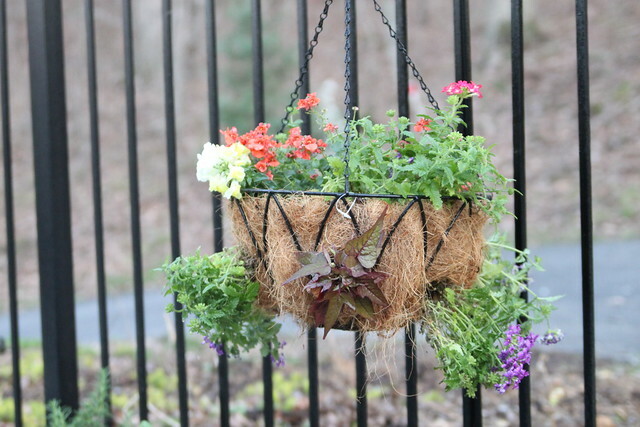 I love the way these hanging flower baskets look when I see them and never knew how to create them. Thanks for the tutorial. You are amazing. Wow, what a great idea. Thank you so much Ivory! I loved this post. 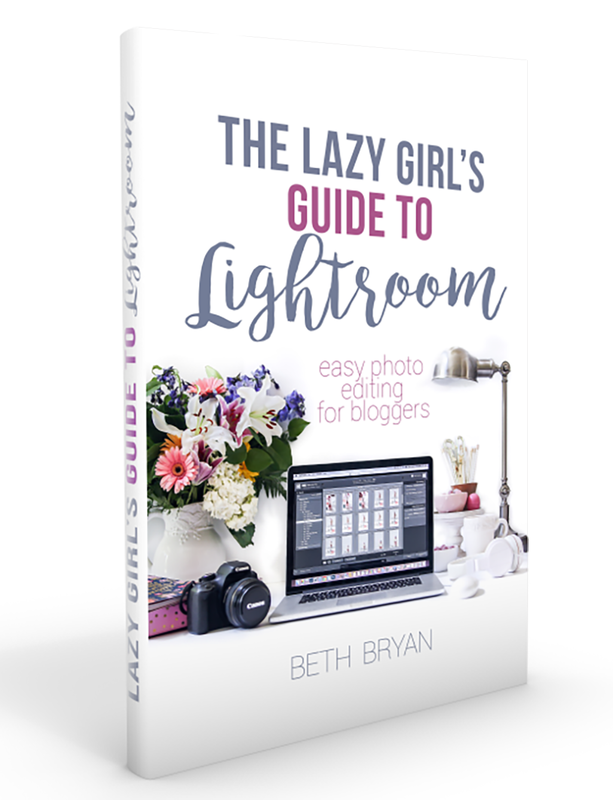 Great tip thankyou for sharing , cant wait to try it out ..jools.x.